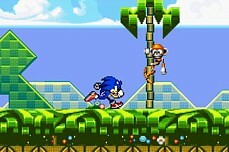 DONKEY KONG 2 >> the big hairy ape is back! 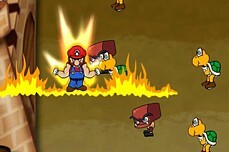 Note: You cannot use the mouse to make selections. 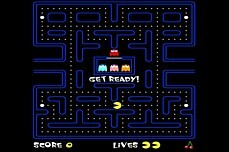 Use arrows & Enter key. 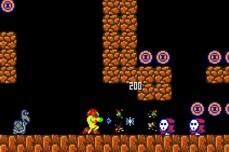 Donkey Kong 2 is an excellent rendition of the Donkey Kong versus Mario flash game genre. 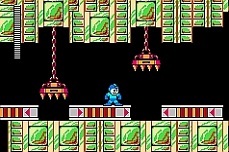 There are 3 levels of difficulty to choose from in this one - Easy, Medium, and Hard. 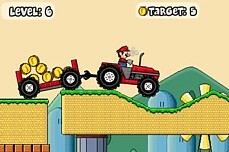 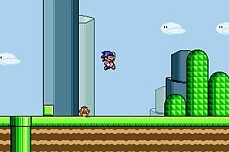 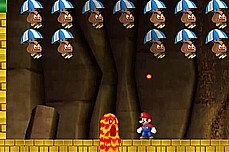 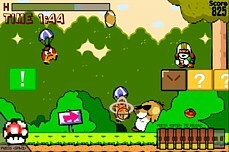 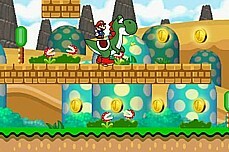 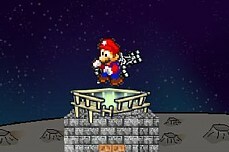 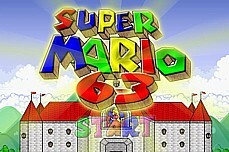 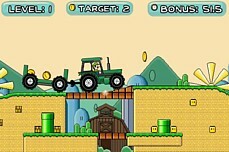 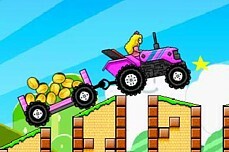 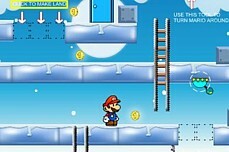 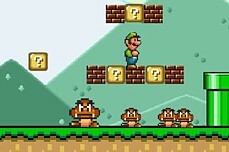 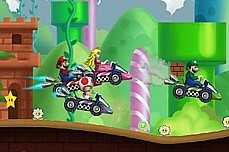 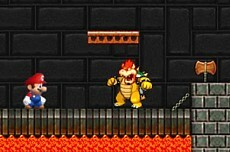 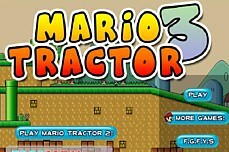 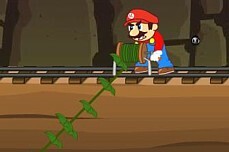 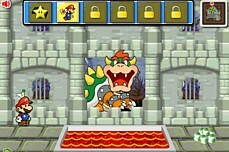 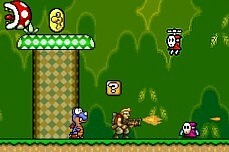 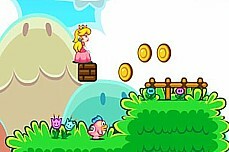 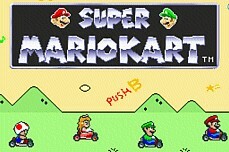 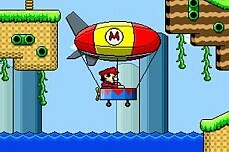 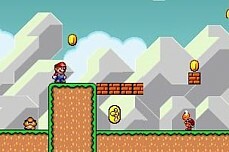 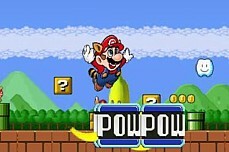 The difficulty largely determines the amount of enemies and how many points are required to gain an extra mario. 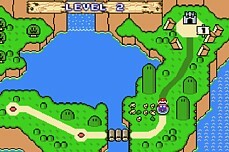 Try to navigate to the princess. 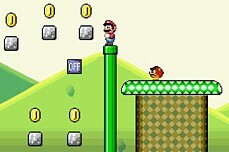 Its tough! 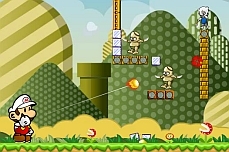 The moving platforms and fire pits will give you headaches and just when you think you've made it, you still have Donkey Kong to contend with.